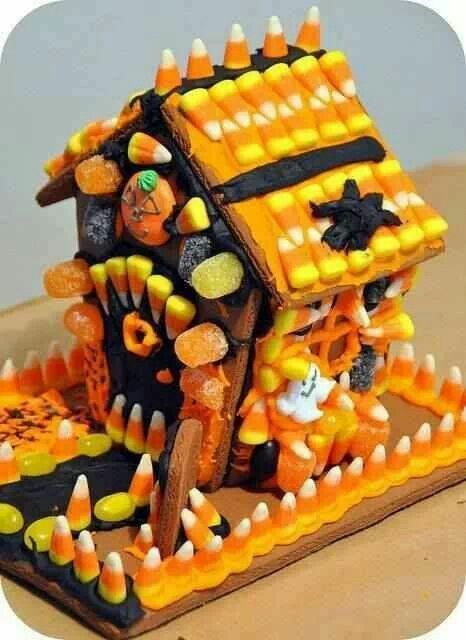 Who said candy houses are for Christmas only? Bring the fun of decorating gingerbread houses at Christmas over into your Halloween celebrations as well by decorating spooky graham cracker houses. Image source. Younger children will love getting creepy crawly with these webby creations. All you need are popsicle sticks, paint, and yarn. Learn more from Buggy and Buddy. Move over ghost suckers, spider suckers have crept their way into Halloween this year! These are a fun way to make a simple treat with a bit of a bite. Just wrap some black pipe cleaners around a sucker and add googly craft eyes. Source. This fangy friend is a bat-tastic idea for Halloween crafting! Have fun reading books like “Stellaluna” or any of the “Bats at the…” books by Brian Lies before or after you make your own hanging bats. Find the template and directions here. One of our favorite family Halloween traditions is to watch “It’s The Great Pumpkin, Charlie Brown”. We like to carve pumpkins while we watch the movie. These fun pumpkin paper lanterns would be another great craft to work on while Charlie and Snoopy keep you entertained. Source. Get into the Halloween spirit with these spooky spirits. You’ll need cheesecloth, styrofoam balls, and fabric stiffener for the body. Attach a string to the top and add a pair of googly eyes and this project is under wraps sheets! For a full tutorial check out Crafts Unleashed. Mike and Sully would agree that these paper bag monster puppets will make a real scare this Halloween with your kids! What kinds of stories do you think you can make up together with these funny fellows? Get more info from I Heart Crafty Things. Make all your favorite Halloween characters with this Fall popsicle craft. Frankenstein would be a fun one to make too! Life Beyond Laundry give more details here. 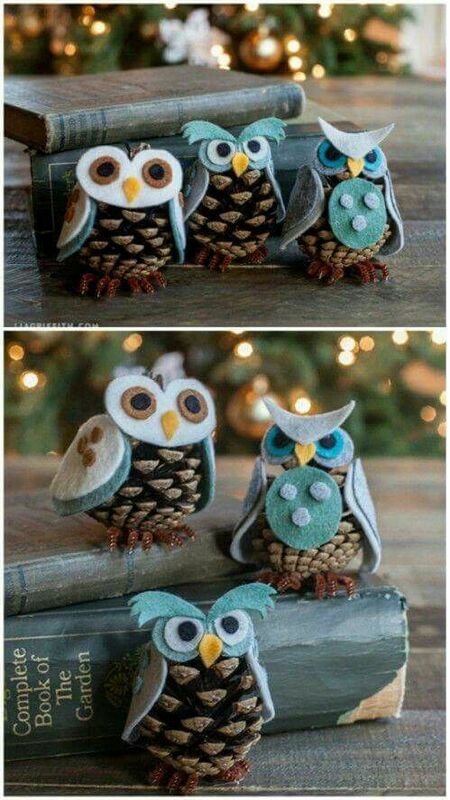 Have a Happy Owl-A-Ween with an afternoon of owl pine cone crafting. Beside the pine cone you’ll need felt, brown pipe cleaners, and hot glue. So cute! Image source. Black cats are certainly a fright to see on Halloween night! But this adorable black cat tote is a purr-fect craft to make with your kids. It doesn’t require many materials and your kids don’t need to advanced in sewing to be successful with the project. Get the DIY from Crafts By Amanda.